Unlike the traditional Tuscan, Umbrian decor, both rustic and traditional, based on cotto and wood, the Italian Southern decor is light, airy, in palettes that recall the Mediterranean tradition and can be found in Positano as well as in Marrakesh. Light and surfaces are a vaste component of the furnishing, helped by the natural illumination of the South of Italy, a true wonder from April to November. “Striking colors balance with subtle nuances for a five-star experience at the Bellevue Syrene of Sorrento Hotel. Here, ancient fisheries and nymphaeums are a testament to the presence of Romans, where legend has it, the sirens lived just below the palace. English collector Lord William Waldorf Astor recreated environments of Pompeii’s House of the Vettii inside the palace, a luxurious holiday villa for the Roman nobles. As fertile ground for artists and intellectuals, the structure welcomed figures like Turgenev and Jorge and Marguerite Yourcenar” (Copyright of Tammaro for Elle https://www.elledecor.com/it/best-of/a22505652/what-to-see-naples-amalfi-coast/) . The look along the western coasts of Campania is that of luxury holiday homes. The interior decorating style brings forth a relaxed coastal atmosphere with white sofas, outdoors benches for gathering and entertaining, and crisp blue-striped awnings over pools and outdoor entertaining areas. 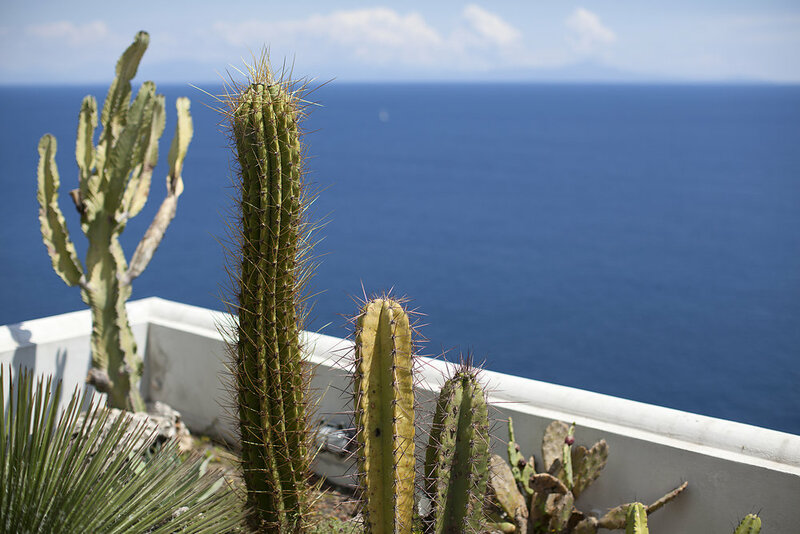 Especially in Capri nature and gardens, as well as the scent of seaside, are a pivotal component to the house furnishing and style. Precious materials, solariums, terraces compose the standard set of a luxury villa in this area, completed by the best furnishing and materials, mixed together. Generally villas feature at least one stunning private sun terrace and solarium boasting a breath-taking panoramic view.